High precision angular contact thrust ball bearings to support precision ball screws, have better performance than earlier combinations of angular contact ball bearings or combinations using thrust bearings. They are especially suitable for high precision machine-tool feeding mechanisms and similar applications. The axial rigidity is high because of a large number of balls and a contact angle of 60 degree. Compared with tapered roller bearings of cylindrical roller bearings, this type has lower starting torque; so smoother rotation is possible with less driving force. 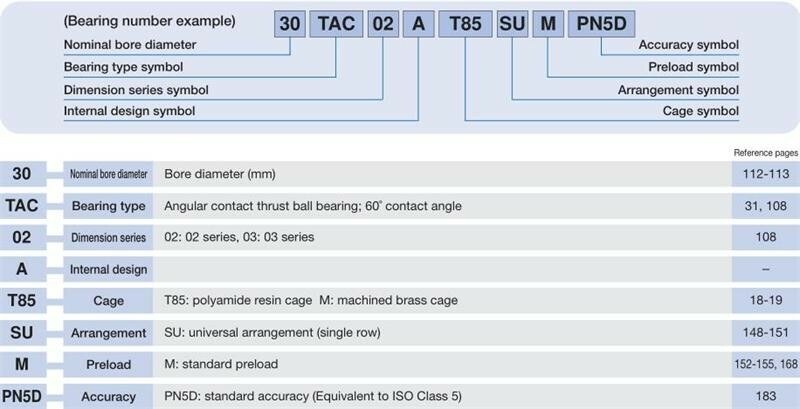 TAC02 and 03 series are angular contact ball bearings that provide support for large size ball screws operating under a heavy load from the driving mechanism of electric injection molding machines. Low torque is achieved by optimum design of the ball bearings. Users can significantly reduce bearing torque by replacing their roller bearings with these series. Electric injection molding machines produce a heavier load on ball screw support bearings than that of machine tools. 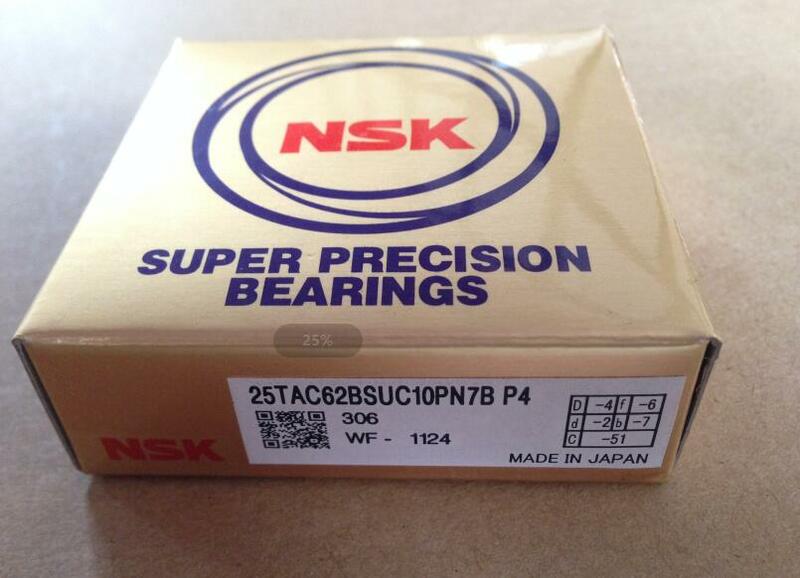 TAC02 and 03 bearings are designed to operate under such heavy load conditions. Conversely, TAC B bearings are designed for increased permissible load by increasing the number of balls and bearing width.